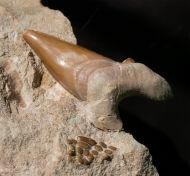 In this category we offer Fossil Shark teeth from all over the World. 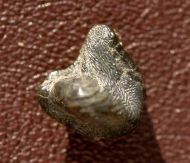 This is a fossil shark teeth of the species Carcharhinus obscurus from the Yorktown Formation of South Carolina. 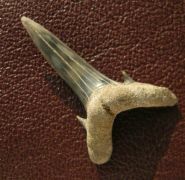 Here is a nice preserved fossil shark tooth of the species Carcharias Taurus. 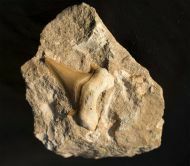 Here is a fossil shark tooth from Morocco of the species Otodus obliquus on a nice and authentic matrix. 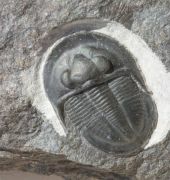 Here is a Cretaceous sponge fossil from a classical British locality. 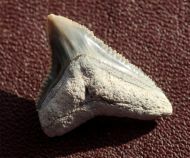 Here is a relative rare crusher teeth of the shark species Ptychodus whipple.